If you have any questions or want to enquire about dates, use our form to contact Karen Banyard or see their website for more information. Unbend here with heavenly views across to Holy Island: birds soar overhead and the waves nibble at the bottom of the garden. 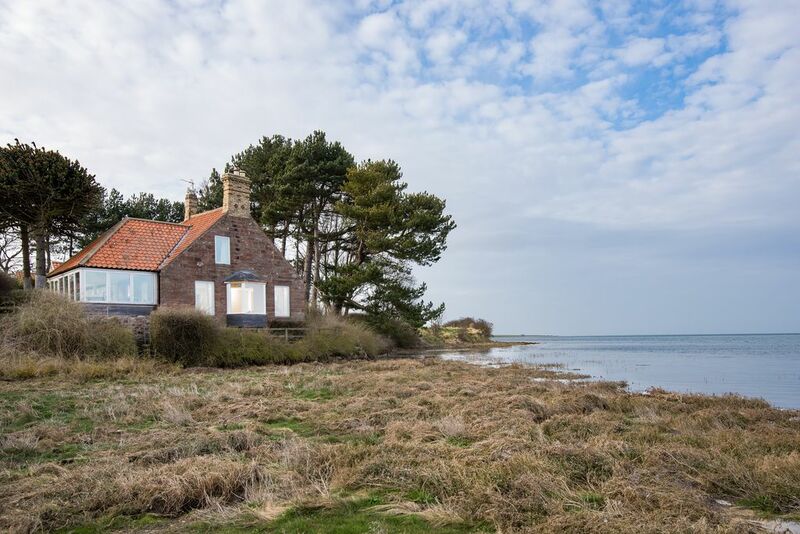 Restored elegantly by the owner, blessed with underfloor heating and high insulation, your stone cottage is protected from any bracing north easterlies. Spread out with books, board games and a TV in a large, light sitting room with three plump sofas and windows framing more knock-out views. Cooks will be happy banging about in a snazzy kitchen with Shaker-style cupboards, serious pans, good china and a four-oven cooker; and there’s a proper dining room with a table big enough for long lazy meals. No arguments here over who gets which bedroom because they are all big and bright with ocean or garden views, soothing colours and white cotton on firm mattresses; each has a sparkling bathroom with tiled floors and lots of thick towels. Bird watchers will root themselves in the sunny conservatory overlooking well-tended gardens (don’t forget to bring binoculars), walkers can set off from the door, and there are fishing villages, castles and wild beaches to discover. Minimum stay: 3 nights. 4 nights on weekdays. 7 nights in high season. Short breaks available. Have you visited The Mill House? Be the first to leave a review.